Astragon Entertainment - our publishing partner for the "GAS" market (Germany, Austria, Switzerland) - is about to release a new limited Legendary Edition of Euro Truck Simulator 2. This probably isn't that exciting for most of our readers as we're sure you already own a legal copy of the game... right? The software itself has actually been on Steam for quite a while already as the ETS2 Deluxe Bundle: a combination of the base game and a sizable collection of DLC plus some older games of ours. But we really like the cool content in the box, so we thought it was worth mentioning as context for the second part of this blog post. 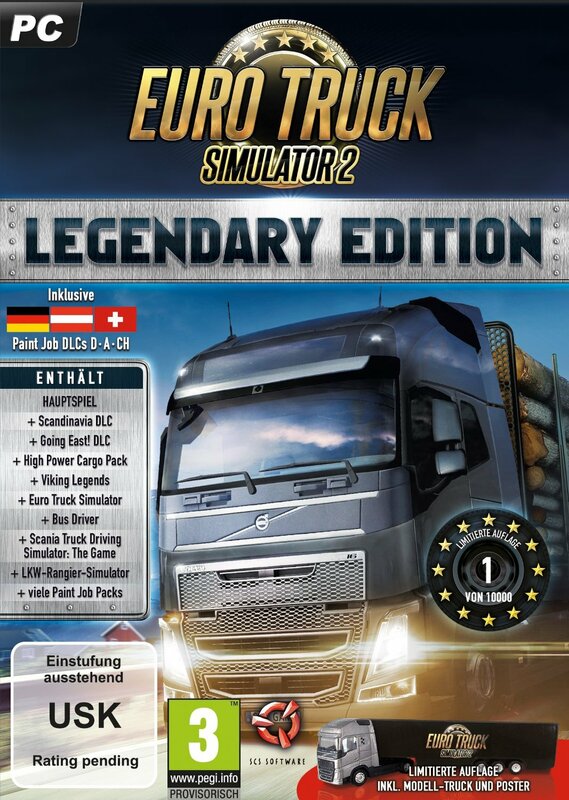 If you do own ETS2 already, it's not anything amazing - but if not, or if you are looking for a gift for somebody you know that's a potential truck sim addict, the overall value isn't so bad. As the release of the Legendary Edition box set is almost here, today we are publishing two new paintjobs that are going to be added to the Deluxe Bundle and, in turn, also become available to anybody who will purchase or has previously purchased the equivalent of the Legendary Edition on another market such as Poland or our very own Czech Republic. 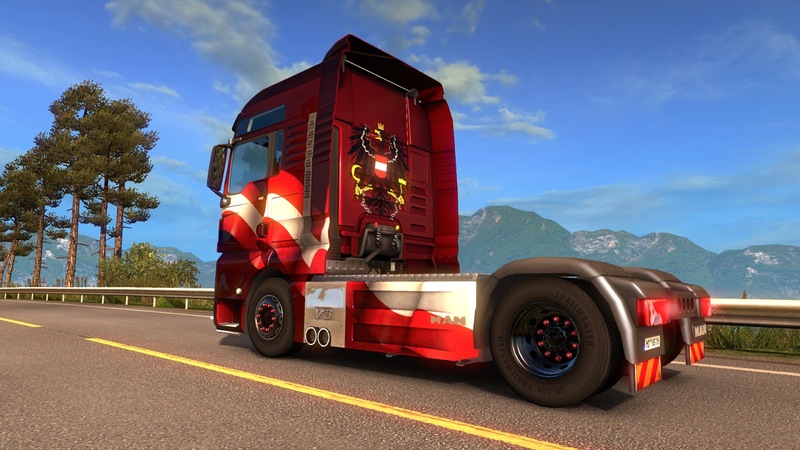 The choice of countries is definitely not arbitrary - the Austrian Paint Jobs Pack and Swiss Paint Jobs Pack for Euro Truck Simulator 2 have been created specifically to appeal to players from the "GAS" region. Last but not the least, based on your feedback we are fulfilling our small promise to show you some more photos from our trip to Mid-America Trucking Show. 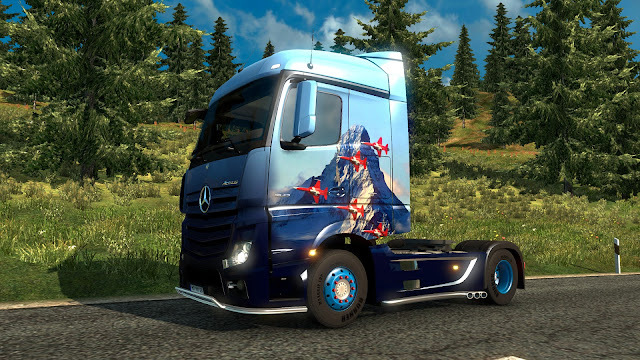 You can find them in a dedicated gallery on our SCS Software facebook page.